No problem! Exactly for this reason, we've made an inspiration-box full of samples of all the materials in our stock. Our inspiration boxes are coveted things especially by those that have curious fingers and hungry eyes -Especially suitable for those who sees best with their fingers. 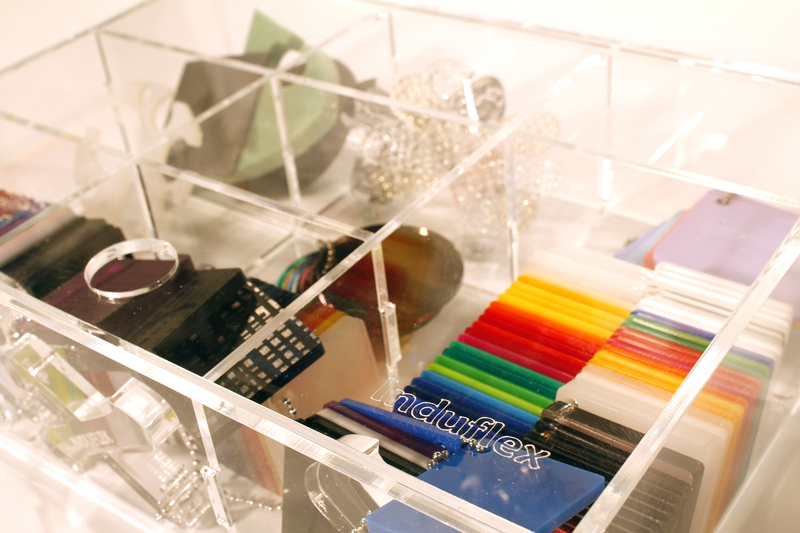 The box is full of samples of all the different thicknesses, colours and qualities of acrylic we have available - as well as samples of all the alternative materials you find in our stock. Going through the box you'll develop a feel for the materials and their properties - as well as the processes we use to shape them. Our inspiration-boxes are fixtures in our sales rep's car when she visits new creative customers.